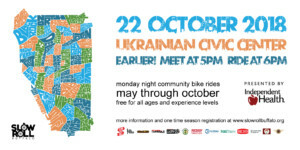 About halfway through our free and inclusive Military-Grant Ride this coming Monday, October 22nd (meeting at Ukrainian American Civic Center, 205 Military Road, Black Rock, 6pm sharp start), we’ll pass the Bidwell Parkway spot where the Buffalo Bike Party (BBP) gathers every second Friday of the month at 7pm. BBP predates Slow Roll – in fact, when we set the dates for Slow Roll’s pilot rides in 2014 on the same night as BBP, cofounders Alex Gugliuzza and Ashley Smith – the latter profiled this week as our Reddy Bikeshare Ride Leader – graciously seized the spirit of collaboration and encouraged everyone to join us. 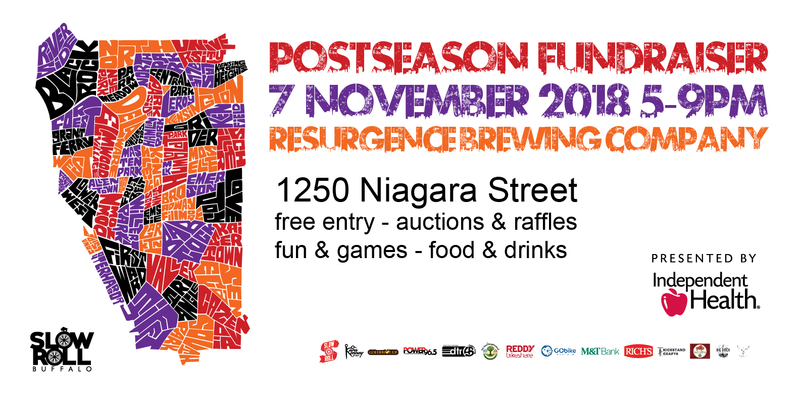 BBP also extends into November, while Slow Roll hibernates before returning for our *Snow* Roll series – learn more below from Alex. 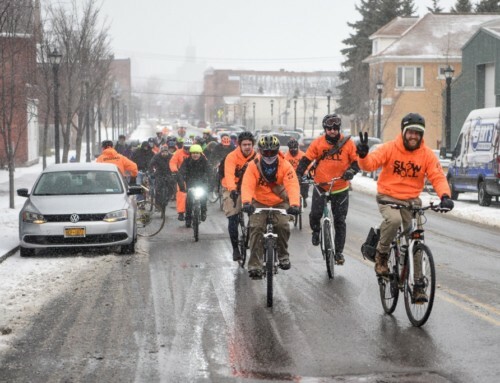 What inspired the founding of Buffalo Bike Party, and what is its mission? 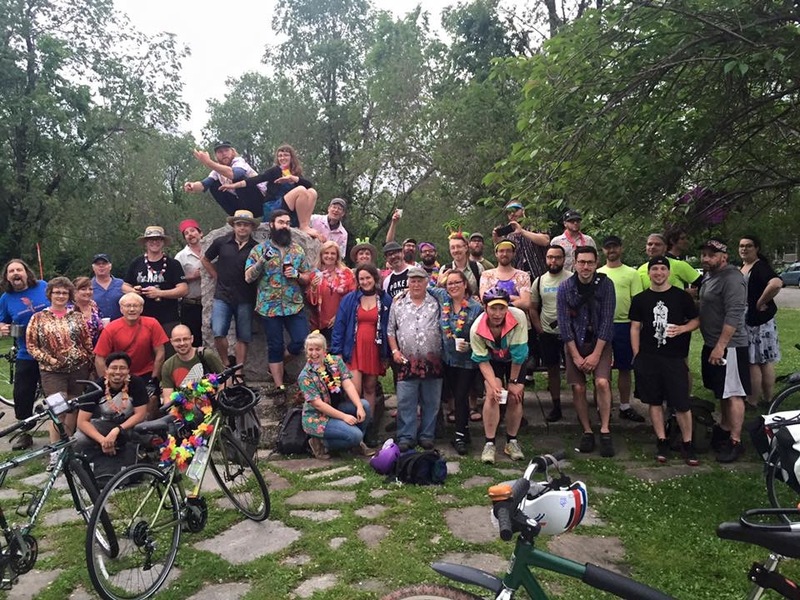 The mission is to facilitate a fun, easygoing community of social cyclists who explore the city of Buffalo together while being a little silly at the same time. 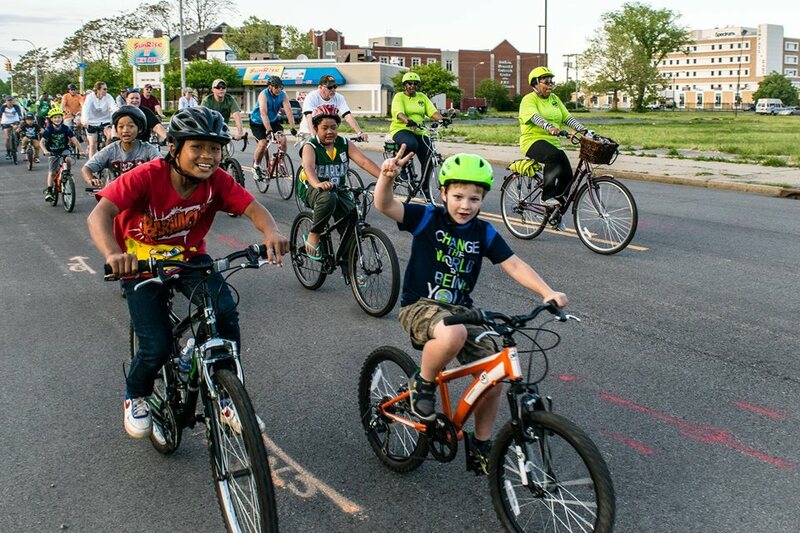 Back in 2013, Buffalo had limited choices in bike ride; the Campus rides – which were highly organized – and the Sunday Night Ride – literally the opposite, chaos in the streets – were the most well known and accessible. We were looking to create something in the middle of these two rides. 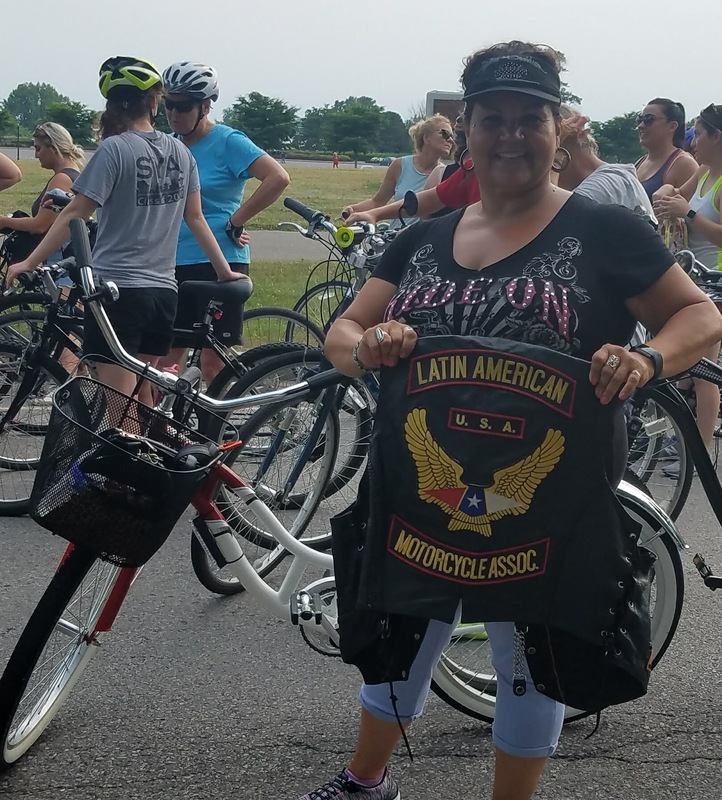 We wanted to keep the fun and free spirit of the Sunday Night Ride – without having to stay up until midnight on a Sunday night, for all of our day job friends – but wanted the close community of the Campus Rides. Henry from GObike introduced us to the idea of the Bike Party, which takes place in a few other cities around the US – San Jose, Oakland, Boston and Baltimore, to name a few. At that point, we knew that a new ride in Buffalo was possible, and we decided to give it a shot. 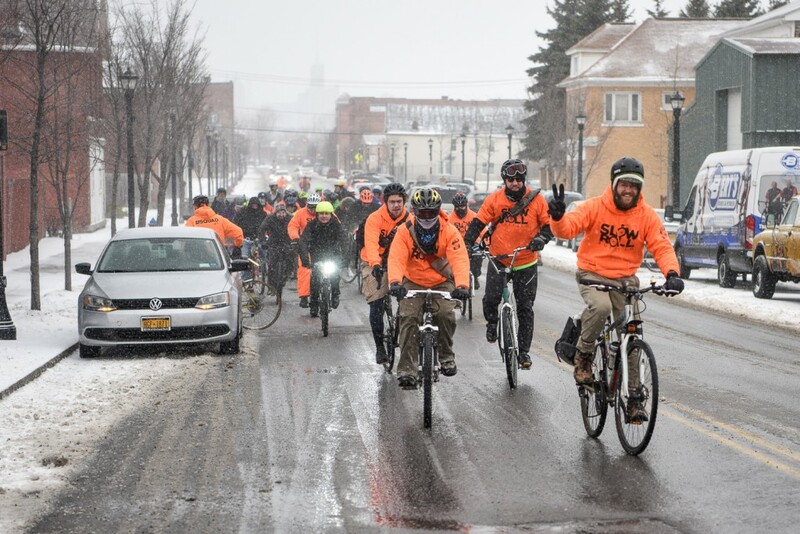 The ride was originally organized by myself, Ashley Smith, and Henry Raess, and came out of the momentum of Buffalo By Bicycle, a project that Ashley Smith and myself worked on. We created bike tags with messages like “our chains set us free,” a film about cycling in Buffalo for the 2013 Infringement Festival, a blog, and an Instagram account showcasing cycling culture in Buffalo. How has it grown since it began? The ride has gone through a few stages of change throughout its years. At first, there was a dedicated group of regulars that would come every month. We still see many of these riders today, but we have started to get new people trying out the ride almost every month. It tends to be between 30 and 50 people, occasionally reaching about 100. 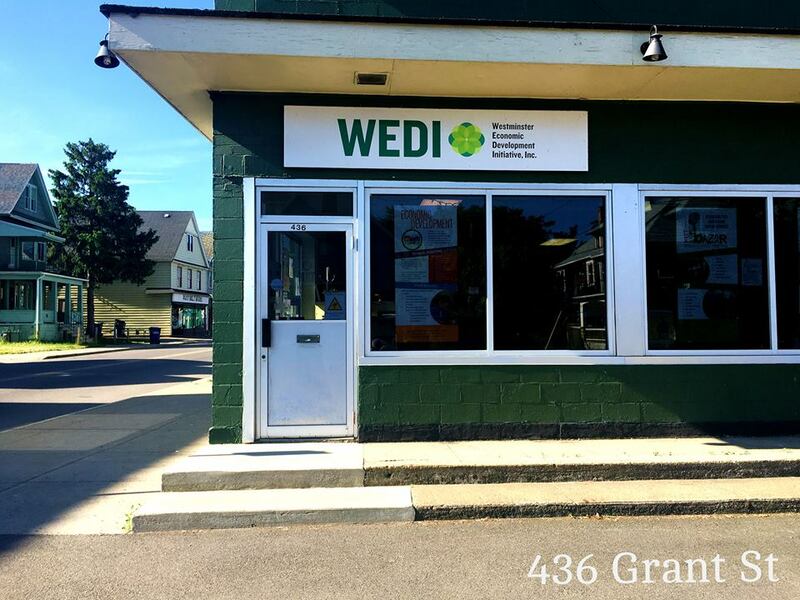 We love meeting people who are new to or visiting Buffalo who find our ride. To quote the motto of East Side Bike Club, how do you “keep it rolling”? The organization of BBP is really organic, so the enthusiasm of whoever is putting it together really shows in the ride. 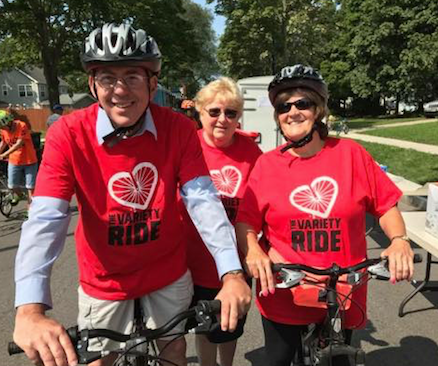 Currently, the ride is organized by myself, Courtney Walczak, Rob Bob Walters, and Henry Raess. 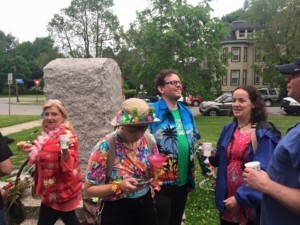 We have certain themes that always draw a good crowd, like our yearly “Margaritaville” ride. It always gets our riders excited, but the organizers are also always enthusiastic about it as well. We are also one of the only purely social rides that ride all year – even through winter. The amount of people riding certainly lessens, but some riders who don’t often ride with us all summer pop in for a ride in the winter. We would have never lasted this long without the enthusiasm of the people who ride with us, too. Some have been with us from the start and some have joined us later in our journey. We always have a fantastic ride together, and that’s all we ever wanted. What are your favorite fun facts that few know about BBP? 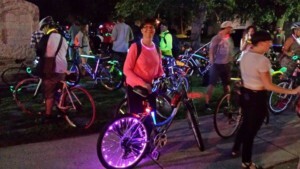 Buffalo Bike Party was the first social bike ride in Buffalo primarily organized by women. Come ride with us! It’s a loosely-organised drop ride that goes at a moderate pace for about 10-15 miles around Buffalo – less in the winter, depending on the weather. We always encourage people to participate in any way they enjoy – this might include dressing in costume, playing music over speakers, bringing snacks, or just joining in on the fun! Our next ride will be November 9th, and the theme will be posted on Facebook. We are always happy to hear new theme suggestions for future rides. Some things we consider is ease of participation – do people have costumes or themed supplies already on hand? – general expected enthusiasm of the crowd, current events, etc. You can let us know on the ride, on Facebook, or on Instagram. If you would like get involved even further, consider joining the organizing team!